A simple yet timeless addition to any gentlemen's wardrobe our classic faux fur coats and Jackets are inspired by typical vintage fur coat styles of the 1920's and 1930's. 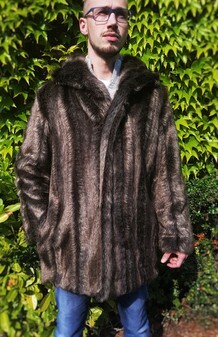 Theres never been a better time for Men's Faux Fur. 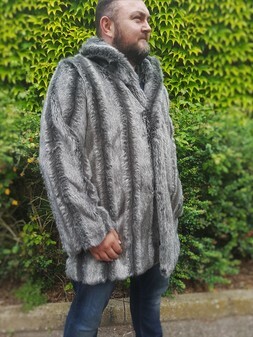 With TV and Films (Game of Thrones, Vikings, Revenant) featuring Faux Fur, there has been a real resurgence and demand. The flattering cut accentuates height and shoulder width - an absolute must have for the modern day refined chap.